As a member of upper-level management, you may not always directly correspond with the employees of your organization – but your power indirectly affects them on a daily basis. This is a pretty large amount of pressure, and the way you conduct leadership says a lot to your employees about your perspectives on them, the organization, and on yourself. Leaders have this amazing capability to not only make changes that are necessary for a company, but also to promote their employees’ heath and well-being, inspiring them to make a difference in both their personal and professional lives. A 2015 study titled “Engaging Leadership in the Job Demands-Resources Model” sought to explore leadership actions that indirectly affect employees; a total of 1,213 individuals participated in an online survey regarding burnout and engagement, and two factors were found to significantly impact both of these: job demands and job resources. It does not come as a surprise that these upper-level decisions affect employee satisfaction in the workplace, but what about leadership traits specifically? Extroversion: Do you consider yourself confident, assertive, and energized? Agreeableness: Are you altruistic, cooperative, compliant, caring, and warm? Conscientiousness: Do you exhibit competence, order, dutifulness, achievement striving, and discipline? Neuroticism: Do you have a tendency towards fear, sadness, shame, anger, guilt, depression, etc.? Openness to Experience: Can you handle and solve conflict in a positive way? A 2015 study published in the journal Science Direct sought to explore exactly what personality traits of leadership are needed in order to promote employee mental health and wellbeing. 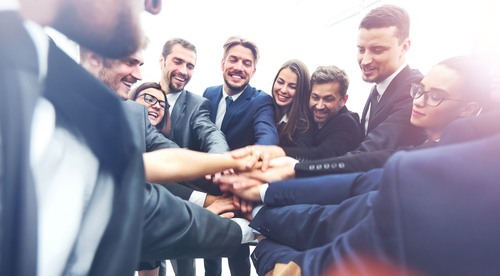 As could be predicted, the researchers found that the more extroversion, agreeableness, conscientiousness, and open to experience a leader was, the more positive an impact they had on their employees. Furthermore, leaders who exhibited low levels of neuroticism were considered to be very positively influential because they were more likely to view their work in a more positive light, which is then reflected in their decisions and interactions. A crucial part of being an excellent leader is taking care of your mental, physical, and spiritual health so that you can perform your best work. If you haven’t already, speak with a professional from a reputable treatment center to today major strides towards bettering your mental health today. « Where Can Executives Find Local Support for Addiction Recovery?